Each week a guest speaker will present a selection if wines from the given region and we’ll serve up a supper dish to match. 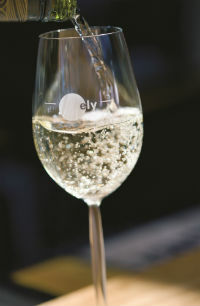 All wine tastings take place at ely bar & brasserie and start at 6.45pm sharp. From Prosecco and Cava to Champagne and beyond; an insightful look into the sparkling wines of the world, how they are made and why they are different…. and how to spot a sparkling bargain when you see one! Established in1626, Trimbach are one of the legendary names in French wine. Jean Trimbach himself will be on hand to guide us through the wonderful varieties and wines of Alsace, including two vintages of one of France’s greatest white wines- Cuvee Frederic Emile Riesling. Time: All tastings start at 7pm and take place in ely bar & brasserie, IFSC unless otherwise stated. All wine tasting evenings include supper, which will be chosen to complement the wines being tasted.